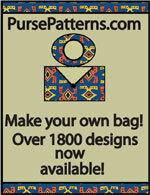 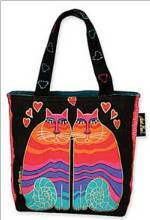 Carmel Swing Bag Pattern - Retail $10 [PSB110] : Wholesale Purse Patterns, Purse Patterns at wholesale prices for quilting shops, craft stores, and fabric shops. 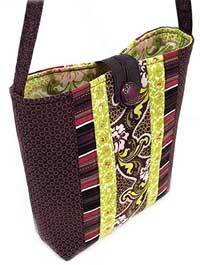 The Carmel Swing Bag Pattern is made with 2 1/2" strips of fabric. 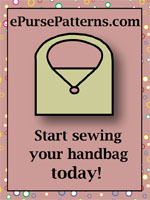 Instructions are given for 4 different fabrics with an optional ruffle on top. 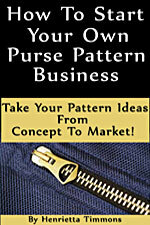 The finished size is 9" wide x 8 1/2" tall x 2 1/2" deep.